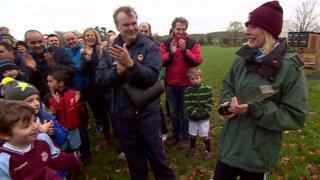 Dawn Davies has been named BBC Sport Unsung Hero for the London region for her work with Guildford Saints Football Club. She dedicates over 30 hours per week to the club in her role as club secretary. Guildford Saints, recognised by the Football Association as a Charter Standard club, provides football coaching for 25 teams, containing over 300 players, including boys, girls, ladies and pan-disability groups.